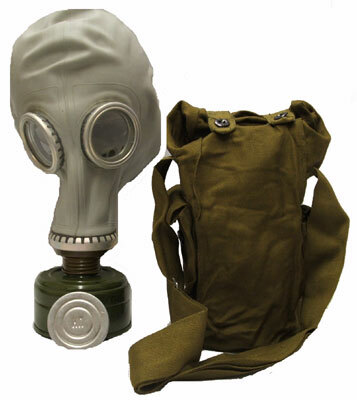 The Soviet GP-5 gas mask was widely distributed throughout Russia and other Warsaw Pact Countries. The gasmasks were designed to protect from nuclear, biological and chemical (NBC) agents. The GP5 protective masks are intended to protect the face, eyes and respiratory organs from toxic agents, radioactive dust and bacteriological aerosols. Each GP-5 gas mask comes with a filter, a haversack, extra lenses and a pencil for the lenses. ~Ambient temperatures ranging from -40° F to +147° F.